There are many different definitions of stress, but let’s start as we mean to go on, and keep it simple! I define stress as the feeling of having more to do than you can currently cope with. Stress can be a temporary response to a particular incident, or it can be a long-term debilitating state affecting all areas of your life. It’s not a condition or an illness, and it’s perfectly treatable through a combination of preventative measures and active coping strategies. Average working time has increased by 20% over the last decade. Leisure time has decreased by 32%. 75% of us work more than a 40 hour week. 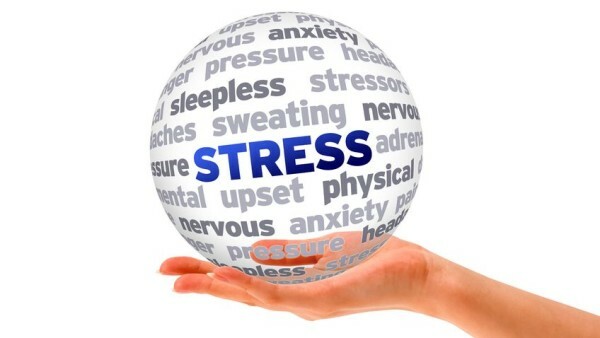 75% of people suffer stress regularly. Many employees take less annual leave now than they did 10 years ago. Stress accounts for 40% of all work-related absences. So most of us are working harder, for longer, with less time to rest & recuperate. That’s most people – what about you? Read on to understand how to recognise stress. These are the most common symptoms of stress. How many do you recognise in yourself? If you haven’t done so already, click here to download your FREE stress test. We get what we focus on, so let’s start focussing less on what we don’t want (stress …) and more of what we do want (relaxed and happy!). Which of these would make the most difference in your life? Now that we’re clearer on what stress is, what can cause it and how to spot it, it’s time to apply this to you. Click here to understand how the AMC Less Stress programme can help you become more relaxed and happier! I am a hypnotherapist who runs a busy therapy practice based in Leamington Spa, Warwickshire. The most important thing to me is getting the best results for my clients as quickly as possible. I love helping people resolve their issues so they can move forward and live happier lives. You can get in touch with me here. This blog is updated on average twice a month. You can unsubscribe at any time. Your email is safe with me.